Wash all vegetables well. In an oven safe pan, roast the peppers and tomatillos at 350 degrees for 30 minutes. When done add these and all tomatoes to blender or food processor and blend well. In a bowl add the blend and all the other ingredients. Mix well. 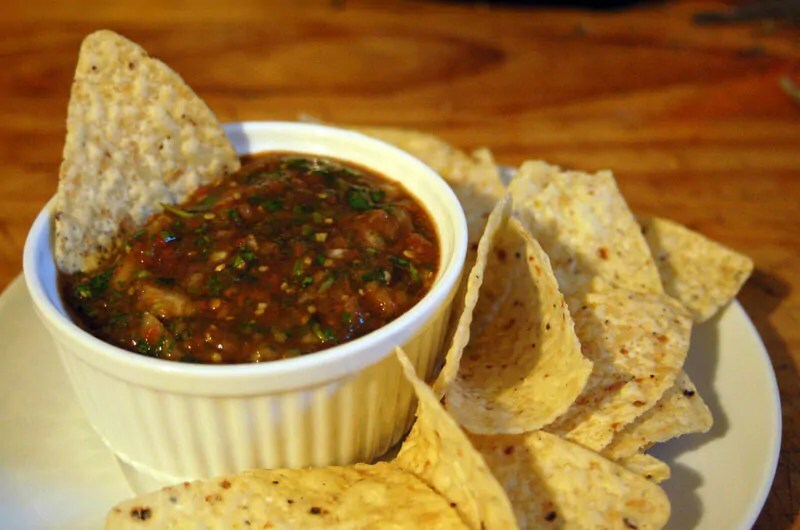 Serve with corn tortilla chips.